According to Goldprice.org, "Italy is well-known for its yellow gold jewelry and classical designs. Italy is a powerhouse in the European jewelry industry." Because of the tradition and beauty associated with gold from Italy, jewelry from this nation is highly prized. Therefore, to make certain you have an authentic piece, for appraisal and other purposes, you should know how to tell where your piece came from. Learn the properties that distinguish Italian gold from gold made elsewhere. Familiarize yourself with the physical qualities as well as where the piece was made, if you have an interest in knowing if your jewelry is truly Italian. Know the physical qualities that are typical to Italian jewelry. 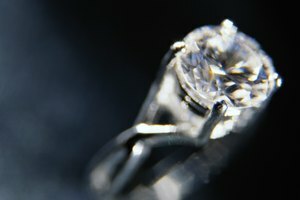 As stated by the authors at Goldprice.org, "Most jewelry in Italy is sold as 18 karat gold or higher, usually marked in the European markate of 750." European markage is another way to measure the quality of gold, in this case, its fineness. Traditionally, gold quality has been measured in karats, which indicates the level of purity of the metal. 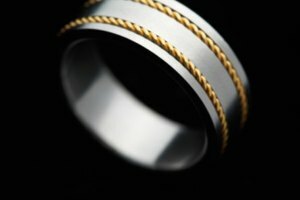 An 18K gold piece has a European markage of 785, a piece of 24K has a markage of 999 or 1,000, indicating 100 percent pure gold. 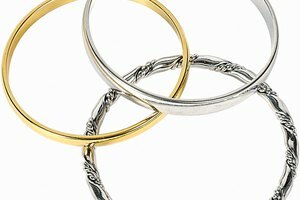 Since jewelry made in Italy may have the markage number, rather than the karat number, it is essential to know how karats correspond to markage. Siting sources like Gemologica.com can provide guidance. Know where Italian gold comes from. There are certain areas in Italy well-known for their jewelry production. In fact, nearly 70 percent of gold jewelry companies are located in these areas of Italy, according to Goldprice.org. These places include: Veneto, Tuscany, Campania, Piedmont and Lombardy. 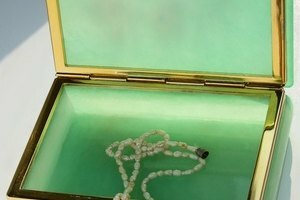 Knowing if your jewelry is from these areas can be an important step to authenticating it. Contact the store or jeweler for more information. Know the famous jewelry-makers. Luca Benfaremo is one well-respected jeweler and is located in the town of Florence. Benfaremo's pieces can be ornate or simple and range from earrings to pendants and more. Rather than bright shiny gold, pieces from this maker can have a darker, more rustic appearance. Other collections have gold embedded in ebony wood or paired with stainless steel or other materials. Gold jewelry can either be bought at the Benfaremo shop in Florence or online. Search for other famous makers like the family-based Giorgio Damiani. This business, originally started in 1924 in the City of Valenza, but has expanded to Paris, London and New York. It is headed by Gabriella Damiani and her three children Giorgio, Guido and Silvia. It boasts pieces from rings co-designed designed by American actor Brad Pitt to other fine and distinctive jewelry. Visit or learn about the other jewelry-producing areas of Italy such as Vicenza, Arezzo, and Torre de Breco, known for high-end pieces. In Vicenza, you'll find Stefani Stefano, which has many beautiful, bright gold jewelry pieces in various shapes such as their ornate loop-design necklace. Arando, another high-end manufacturer with various locations including those in Bergamo and Venezia, makes home décor and sculptures in addition to jewelry. Garzi and Oro Vi are other renowned Italian jewelry designers. Note the type of jewelry claiming to be Italian. Gold pieces from Italy span all price points and run the gamut of traditional pieces from necklaces, rings, pendants and bracelets, to more unusual things like gold sculptures. Sometimes the gold is braided. The Etruscans, an ancient people of Italy, made gold with this design 3,000 years ago and it remains popular to this today. Additionally, various colors of gold are often featured, including rose, two-tone and three-tone. Italy is also famous for religious jewelry like crucifixes and crosses of various sorts, including Celtic crosses. View other design preferences of Italian makers. The connected loop design is seen in Florence by Benfaremo as well as in Vicenza in Stefani Stefano's collection. Yellow gold is not the precious metal Italian jewelry makers use. White gold is also seen in their jewelry. In addition, other materials like precious and semi-precious jewels are incorporated into jewelry, highlighting the great skill, detail and creativity of Italian gold jewelry-making.